You’ve made a wise choice in getting an energy-efficient appliance. Appliances that are rated as being energy efficient have features such as better insulation, better seals, smaller high-efficiency motors, and computerized controls. Here are some tips on how to get the most out of those appliances. Have you ever wondered just how your refrigerator stays cool inside? A coolant, or refrigerant, is put through an expansion valve. This expansion creates a sudden drop in pressure which lets it cool very quickly. As this cooled gas circulates through the coils inside the refrigerator (usually buried in the back wall of the frig), it removes heat from the inside of frig. This gas is then drawn into a compressor which squeezes the coolant and raises its temperature and pressure. It is now a hot, high-pressure gas that flows through the coils that are outside of the frig, dissipating the heat it picked up from the inside. This gas then flows back to the expansion valve where the cycle begins again. The same holds true for your freezer, wine cooler or any appliance used to keep its contents cooled. Check and clean the door seals. One way to check for a good seal is to place a thin piece of paper part way over the seal and close the door (dollar bills work well, but you’ll have to use a higher denomination in Canada where there are no one or two dollar bills any more). Tug gently on your test piece of paper. If there is resistance preventing you from pulling the piece of paper out, your seal is probably in good shape, at least in that spot. Repeat for other areas until you’ve checked the entire seal. Visually inspect the seal for cracks, holes or areas where it has become loose. Depending on the severity of the breach, it may need to be replaced. Clean the seal of any dust, food debris or – to use a highly technical term – gunk. Warm, soapy water works well as does warm water and baking soda. If you have spots of mold, they will surrender to hydrogen peroxide or vinegar. Rinse and dry the seal well. If the coils and/or compressor on the outside of the frig are exposed, be sure to dust them. Dust buildup is an excellent insulator, which is just what you don’t want as the exterior coils should be allowed to release the heat. Don’t jam your refrigerator up against a wall; allow space for the heat to dissipate. Similarly, don’t totally enclose the area around your frig with cupboards and shelves. Be sure to adjust your refrigerator and freezer compartment to the recommended temperatures shown in your owner’s manual. If you have a manual defrost freezer compartment, be sure to defrost it regularly. Don’t let any more than ¼” of ice build up. Be sure to seal any food or liquids stored in the frig. Unsealed food will lose moisture in the cold, dry air which makes the compressor work harder (to say nothing of making your fresh greens wilt and your liquids evaporate and spoil). You’ve made a significant investment in your range and naturally you want to keep it working and looking like new. Be sure to clean your stovetop including burners, drip pans and grills regularly. 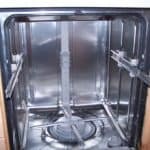 There are endless web sites that will tell you the “best” way to clean your stovetop and its components and many of them work like a charm. But the main point is to keep your stovetop free of accumulated grease and food particles that could impair the efficient operation of your electric elements or gas jets. Don’t forget to clean your range hood. Your range hood is the extractor fan over your range that removes airborne grease, smoke, heat, and fumes from the area immediately above where you’re cooking. Clogged filters will defeat the whole purpose. Not only that, but greasy range hoods and filters present a potential fire hazard. You’ll want to de-grease the filters and the underside of the hood using the products and methods specified in your owner’s manual. Check the oven door gasket for cracks and tears. A quick and simple test is to feel around the door of the oven while it’s operating to see if there is any hot air leaking out. Worn seals allow heat to escape from the oven which makes it harder for the oven to reach and maintain temperature. Damaged seals should be replaced. 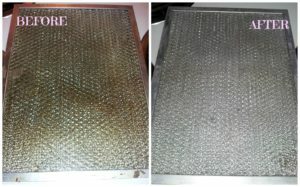 Clean your oven as often as needed. Many ovens have a self-cleaning feature which saves a great deal of scrubbing and scouring at awkward angles (and, as a bonus, self-cleaning ovens generally have better insulation which provides greater energy efficiency). For those ovens that have to be manually cleaned, be sure to follow the manufacturer’s recommendations. Exterior surfaces like the outside of the door, the inside edge of the door including the edges around the gasket (the parts that don’t get cleaned during the dishwasher cycle) come squeaky clean with a damp cloth soaked in a vinegar solution. And don’t forget the most often neglected part of the door – the bottom of it. Remove and clean the filters of any trapped foot particles. Clear any clogged holes in the spray arms. Remove any calcium build-up from the heating elements as these deposits will significantly reduce the element’s efficiency. There are commercially available cleaners that will do this, but equally effective is white vinegar. Soak clean rags in the vinegar and leave them on the burner to soak through the build up. What also works well is to pour ¼ cup or so of vinegar in the bottom of the dishwasher during the rinse cycle. Not only will this remove scale from the burners, but it acts as a wonderful rinse agent for your dishes and silverware. Depending upon the amount of calcium built up, you may have to repeat more than once. We don’t recommend putting the vinegar in the rinse agent dispenser as there are some concerns about the vinegar compromising the dispenser’s rubber seals. For the very best in fast, friendly appliance repair call C&W Appliance Service at (855) 358-1496 or (214) 358-1496.